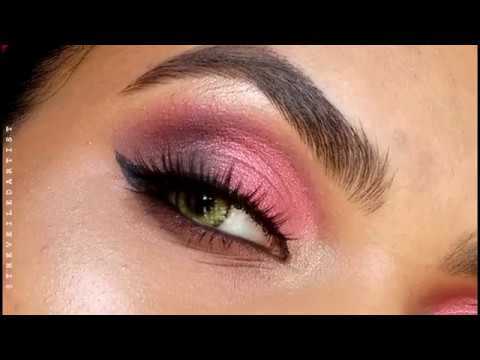 Peachy Pink Soft Glam Cut Crease Tutorial - Perfect for beginners! How has your week been? I am back here today with a very highly requested tutorial! Not just by you guys that follow me, but also a few friends. I would say this is a quick and easy glam look perfect for a day time event/party or even graduation. OH and it does not involve false lashes haha! I know a lot of you are excited about that because not everyone enjoys lashes and popping them on when you're in a rush can be a pain! So let's get started! 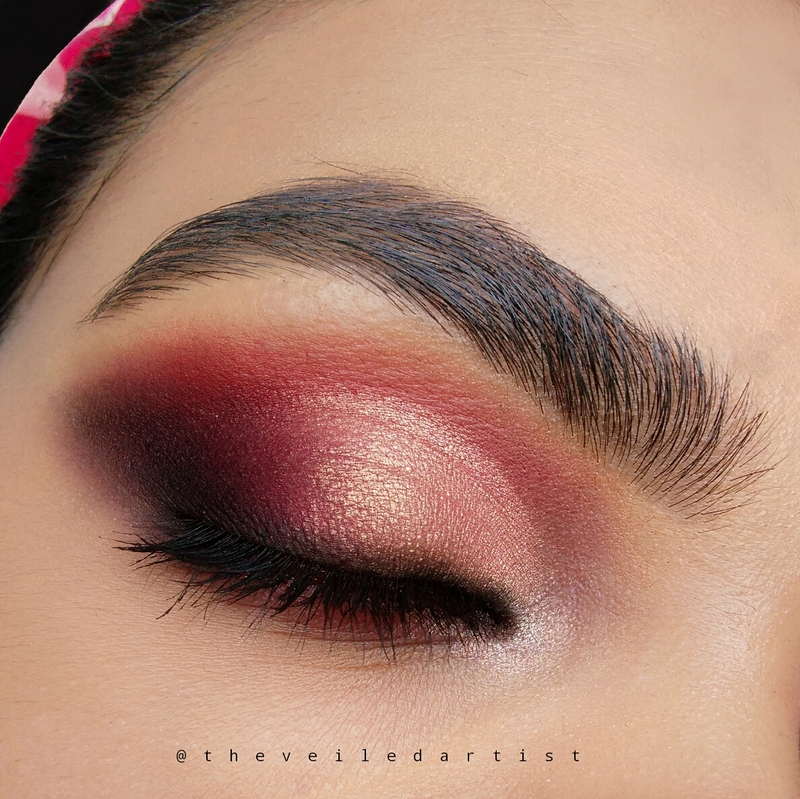 Blend the warm brown eyeshadow into your crease. 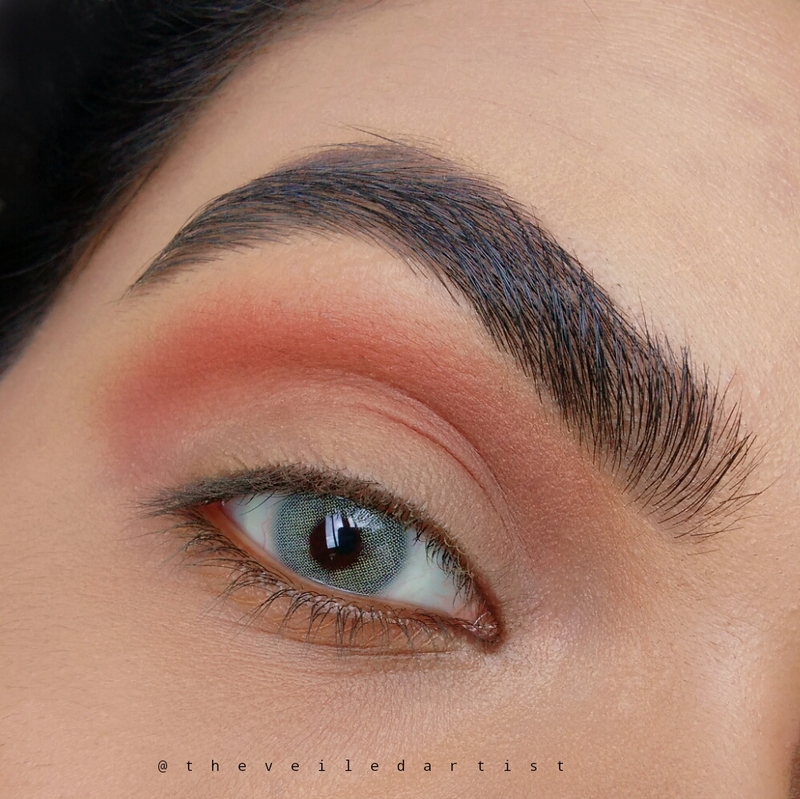 Blend the pink/coral eyeshadow right above the warm brown we just applied. 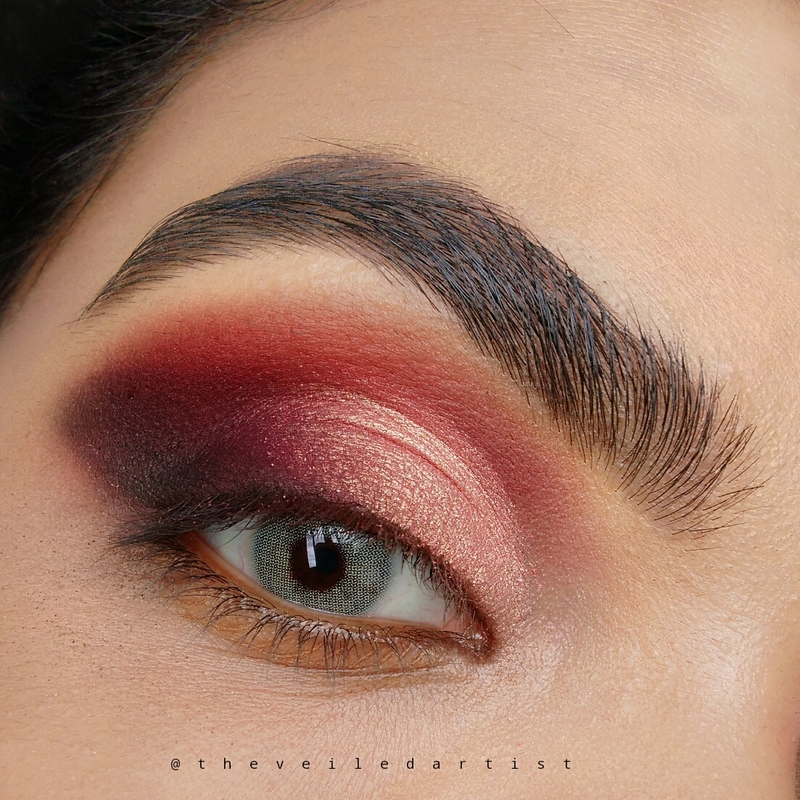 Next, blend the matte burgundy eyeshadow into the outer half of your eyelids. 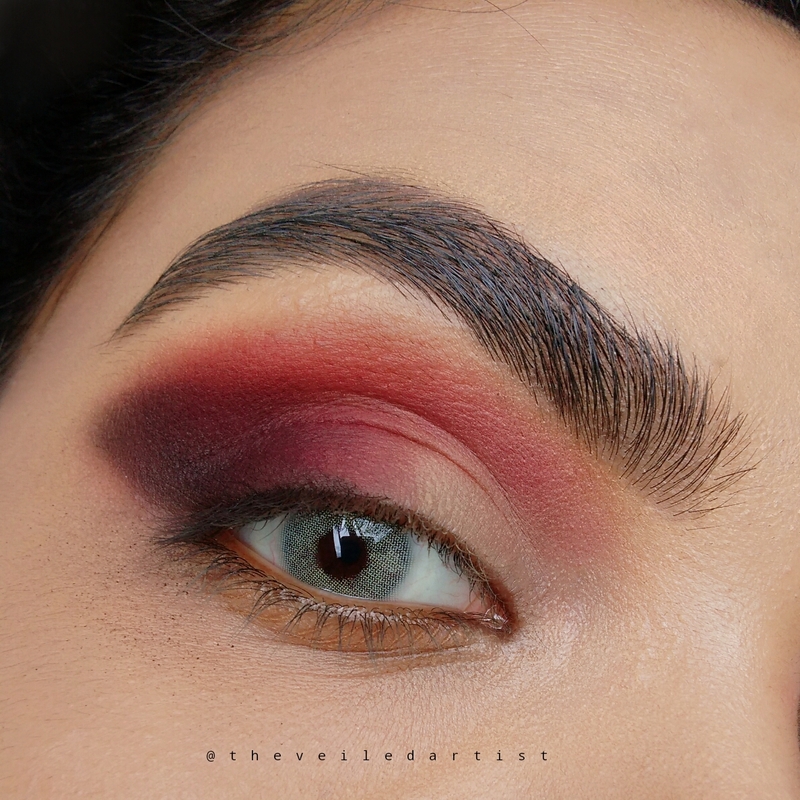 Now, using your finger or a smaller blending brush, apply the black eyeshadow to the outer third of your eyes as shown below and blend it inwards, towards the burgundy shadow we used in the previous step. This is just so we have a little more depth and dimension going on in this look. 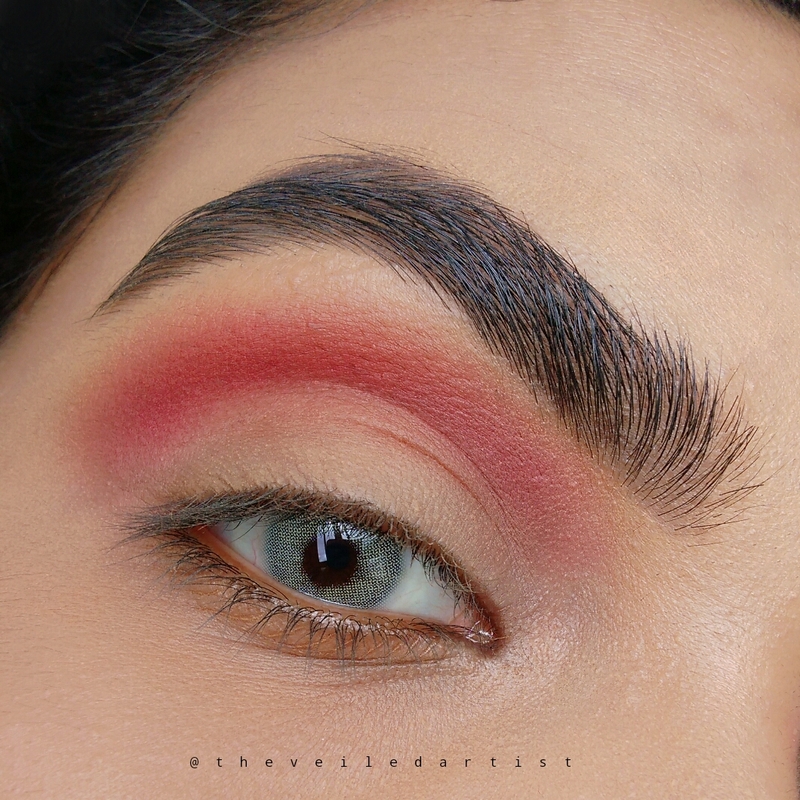 if you're having trouble blending at an angle, blend it as you normally would and then take a q-tip dipped in makeup remover or a wipe and clean the edges following the angle of your lower lashline, towards the tail of your eyebrows. 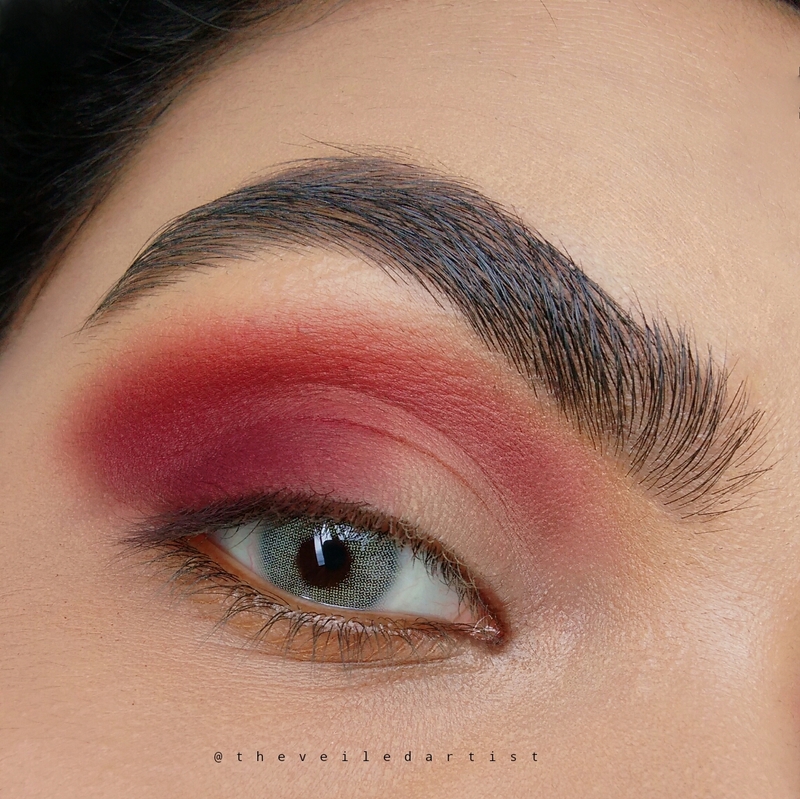 Using a damp flat brush, pick up some of the shimmery pink shadow and draw a half circle shape from the inner corners of your eyes to where the burgundy shadow ends. Now, fill this space with the same shimmery shadow. 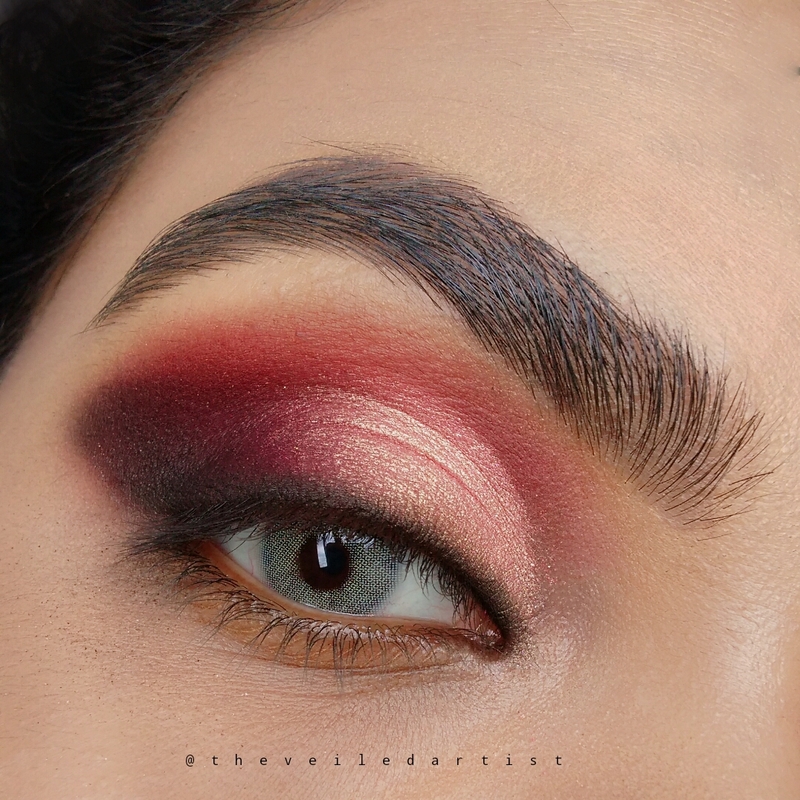 The reason I recommend that you use a damp brush is because not only will the shimmer shadow apply richer, but you can now skip the whole step of having to cut the crease with concealer, which is a much harsher look and isn't something a lot of people would be comfortable wearing to a day time event. Using a small flat brush, detail brush or a pencil brush, apply some of the matte black shadow along your upper lashline. 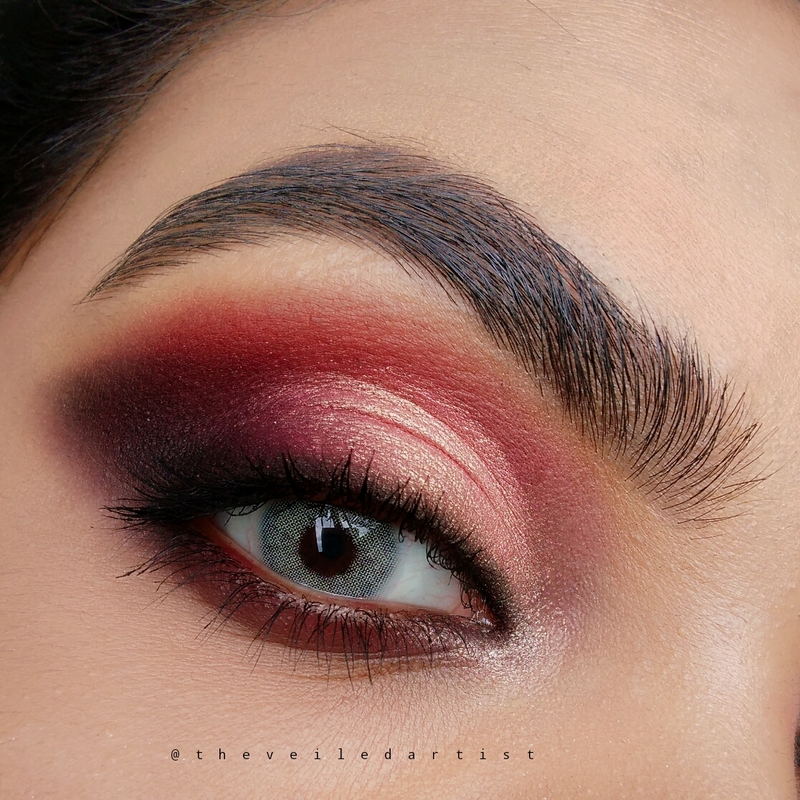 This not only photographs really well, but it also makes your lashes appear fuller, which is something we all love! 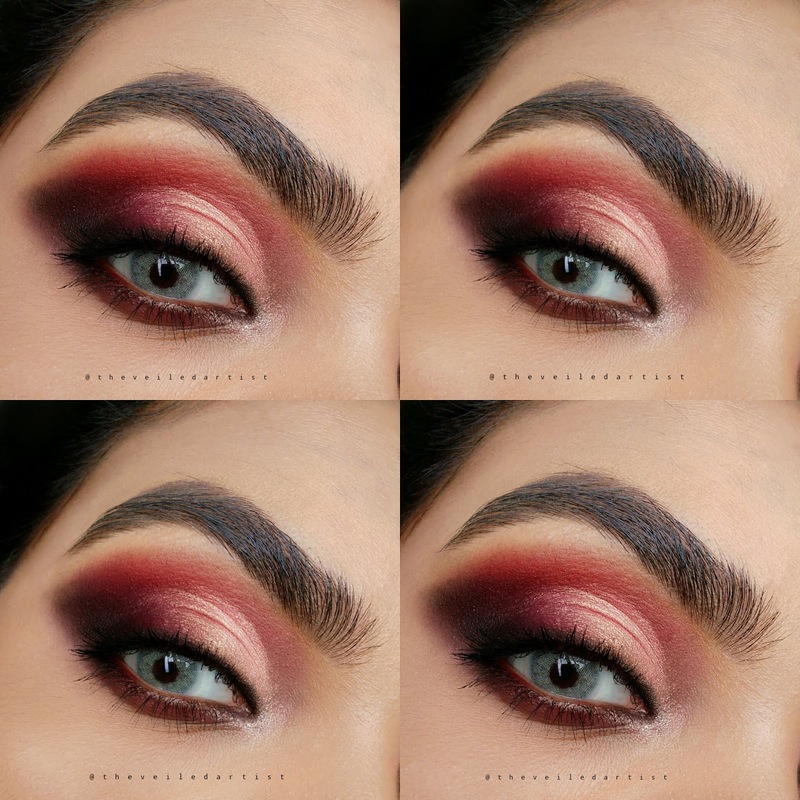 Pick up a small amount of the same burgundy shadow we used in the outer half of the eyes and blend this along your lower lashline with side to side movements. 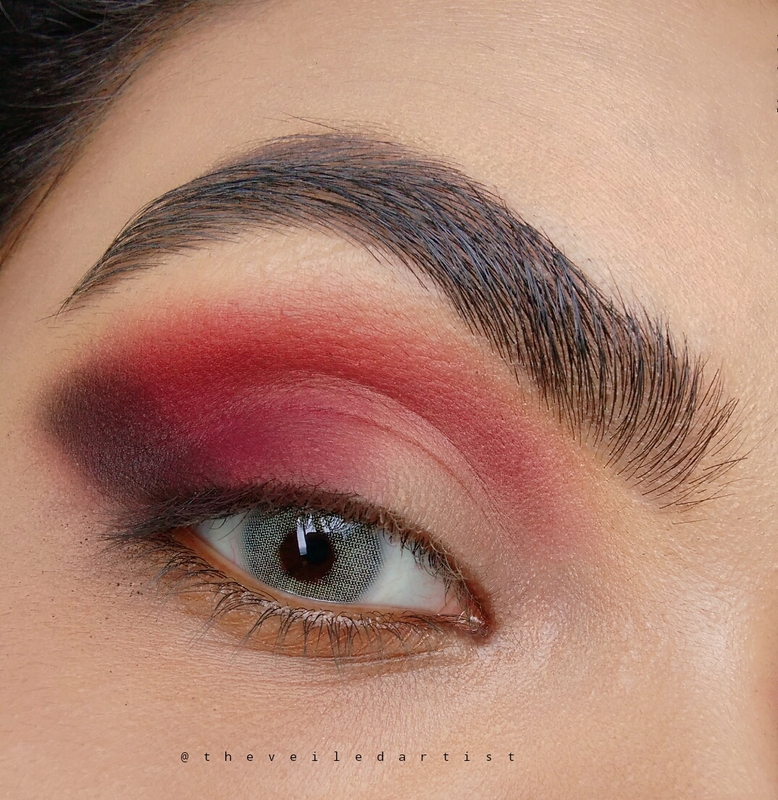 At this stage, if you like a highlighted inner corner, you can go ahead and pop some champagne highlighter in there or you can just curl your lashes, apply mascara and be done!! 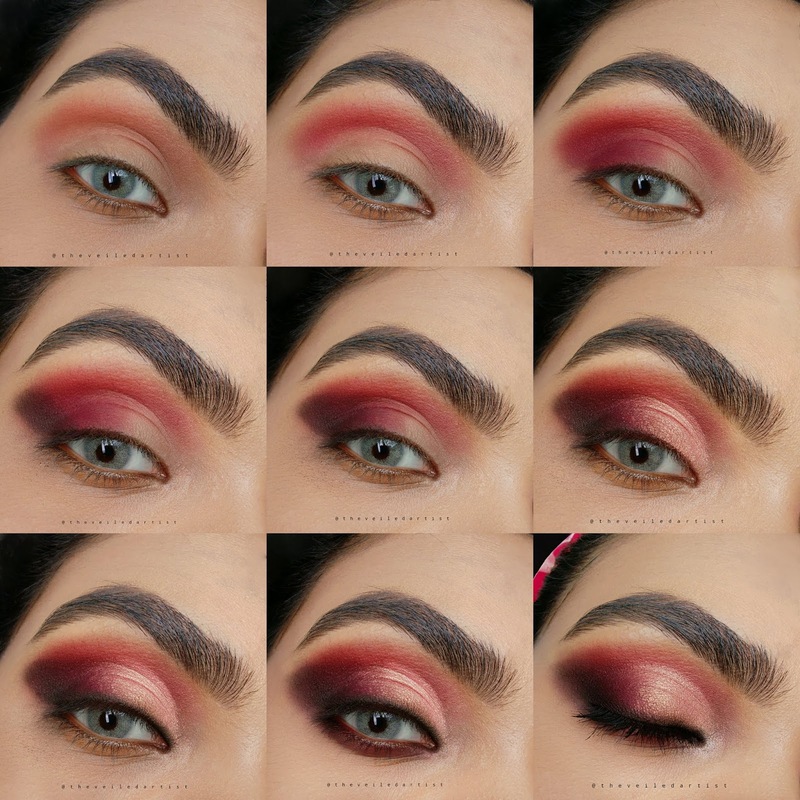 Scroll down to see the full pictorial and products used list! Thank you so much for reading my loves! I tried my best to keep the steps as easy as possible while still giving you the necessary information. 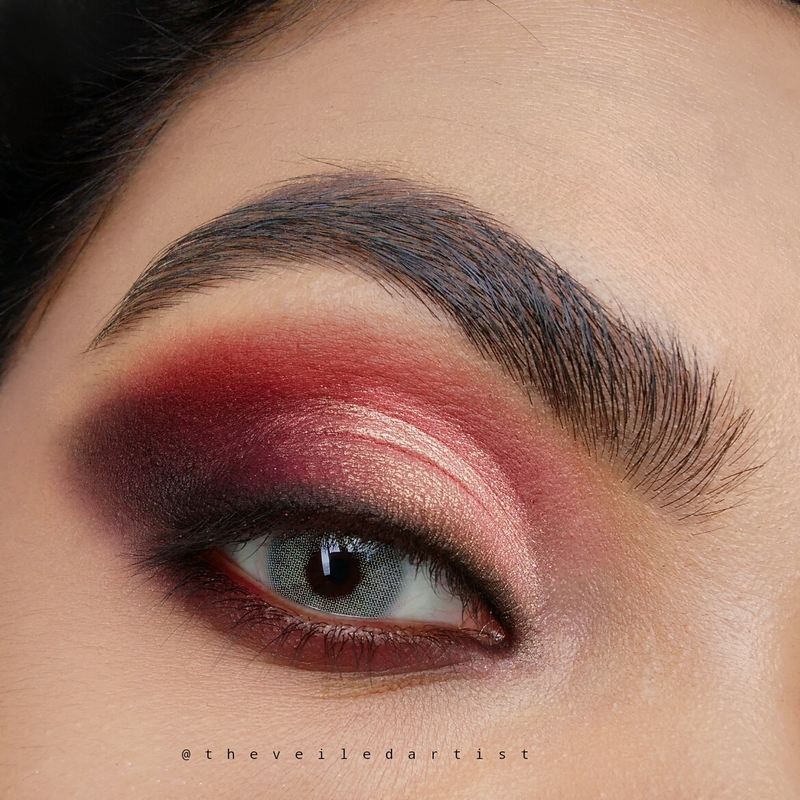 I hope you enjoyed this look and are able to recreate it yourself! If you want to show me your work, you can always tag me @TheVeiledArtist on instagram, I would loove to see it!! AND if you have further questions, feel free to drop a comment below or DM me on instagram and I will be more than happy to help you! You can check my last post here. It was a tutorial on how to achieve intense, Black Glittery Smokey eyes.